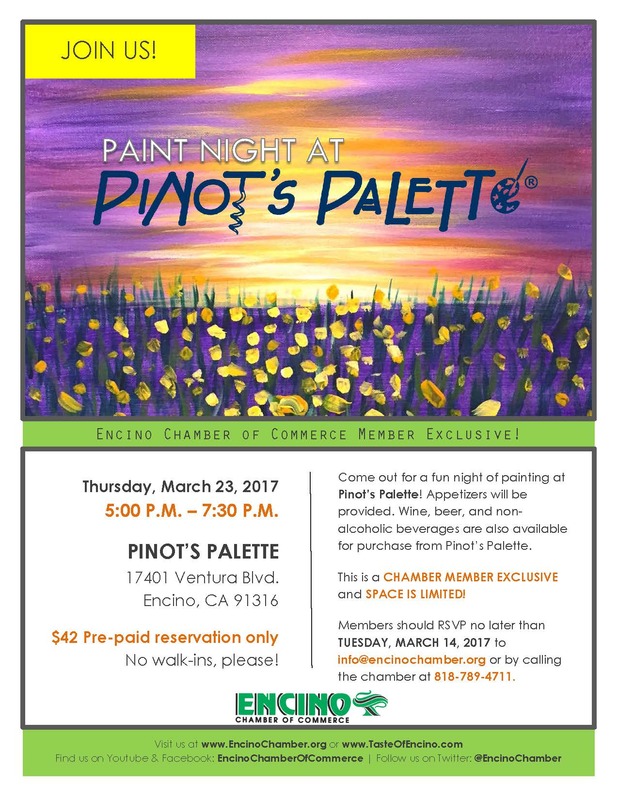 Come out for a fun night of painting at Pinot’s Palette! Appetizers will be provided. Wine, beer, and non-alcoholic beverages are also available for purchase from Pinot’s Palette. This is a CHAMBER MEMBER EXCLUSIVE and SPACE IS LIMITED!